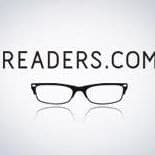 Readers is a glasses retailer that specializes in men’s and women’s eyeglasses. Customers can shop the glasses inventory by frame style, frame shape, frame size, lens type and more. Customers looking for the best deals can take advantage of free U.S. shipping with purchases over $40 as well as taking advantage of the 15% off deal with the use of a promotional code. Customers can browse the clearance section for great glasses at marked down prices. Readers customers can sign up to the email newsletter to get 25% off their next order and to receive the latest information on new deals on frames and products.